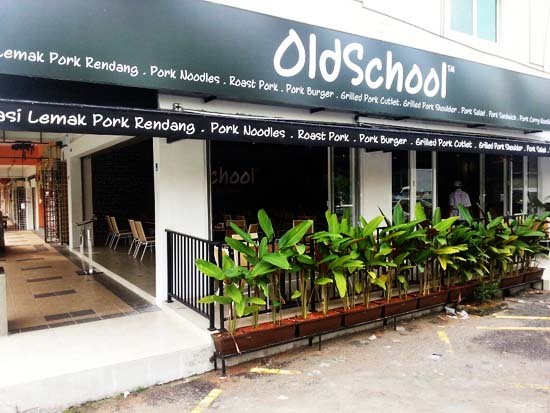 I saw new restaurant named "Old School", "Pork" western-food in Bandar Puteri Puchong after we visited the VI Concept Restaurant & Bar. 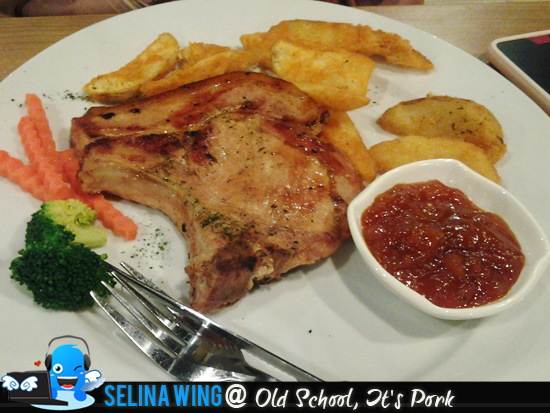 They delivered their good idea to make "Pork" western and the theme of "Old School", make me remembered about my school life! They also add new special menu; "charcoal" burger! 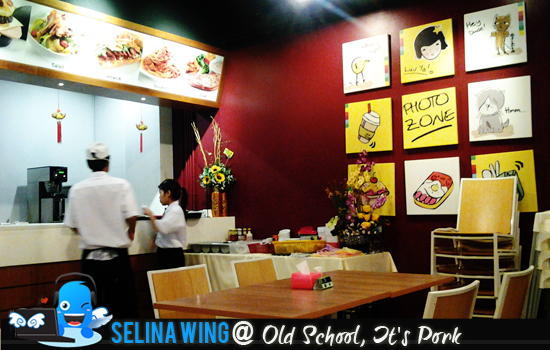 Bad too, it is not halal because they delivered the pork western at the "Old School" restaurant only. We are given the notebook school as "Dinner Menu", it's cute! It make me want to make my homework at school! Haha. 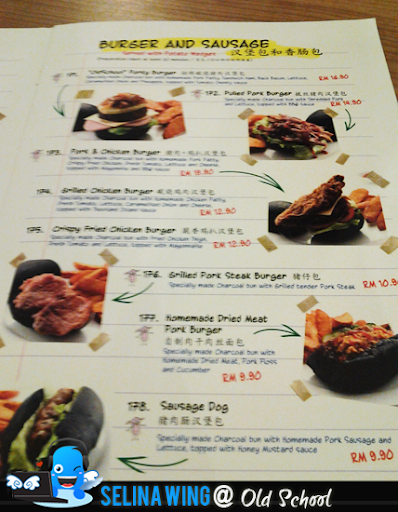 They also designed the menu so very nicely! My best friend and I love to eat mushroom soup, we shared it. 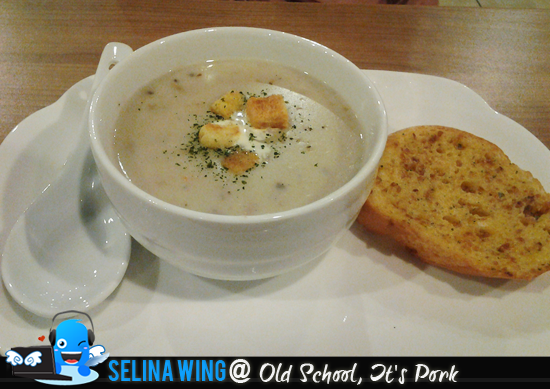 I think the mushroom soup is very better taste. We ordered it twice! Haha. I like to try new "Pulled Pork Burger", it make surisped me to get my favoruite wedges! We really enjoyed to eat the wedges. The teenagers and kids sure love it. My best friend ordered "OldSchool" Grilled Pork Shoulder Steak. It served with their special BBQ Sauce again. We felt their taste are very good, but I cannot finish to eat "charcoal" bun, this is my first time to eat "charcoal" bread.. 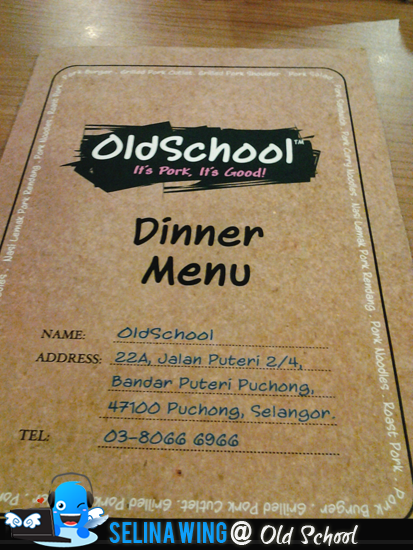 If you like to try this, then come to enjoy "Old School" @ Bandar Puteri Puchong! 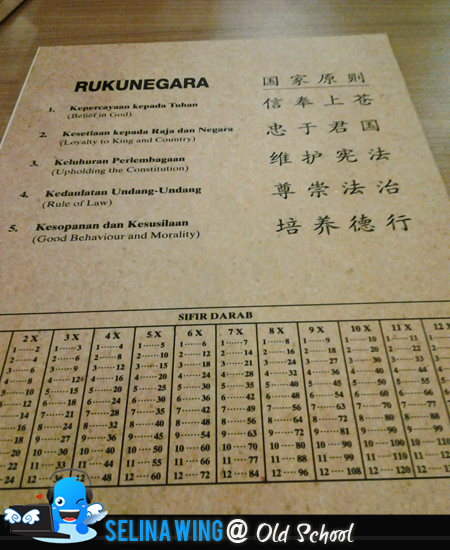 It get free wifi, this place is suitable for the friends who enjoy to chat/ do homework together! Haha. Old School. It's Pork, It's Good!